Are you still looking a yummy soup to warm the hearts of your family and guests this season? Look no further and check out this Roasted Garlicky Tomato Soup. 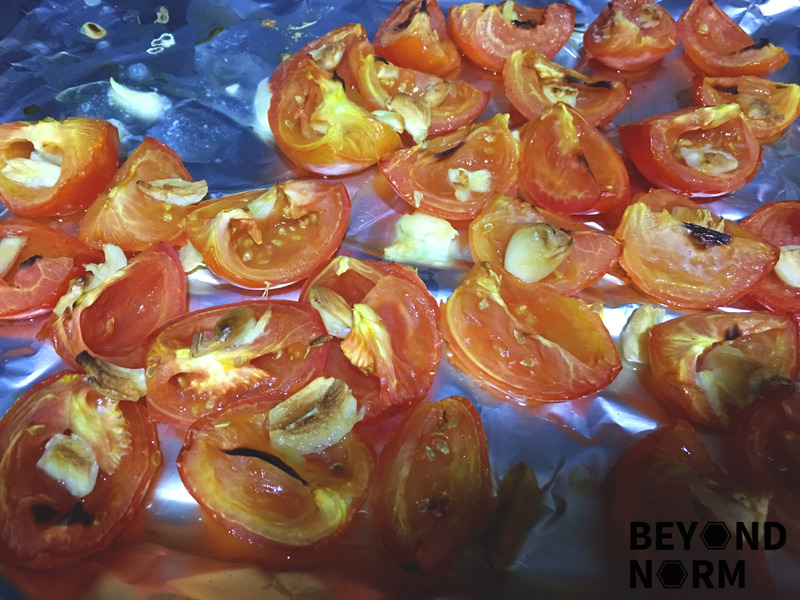 You might be wondering if roasting the tomatoes with garlic will make a difference, the answer is a definite ‘YES’. Personally, in the past, I would choose a creamy mushroom soup over a tomato soup, as I do not like the sour-ish taste which came from the tomatoes. My daughter and my husband on the other hand always fancy tomato soup and over the years my son also began to like it. Being a curious person, I decided to make my own tomato soup. To my amazement, this taste so good and this soup became the highlight especially during the festive season. 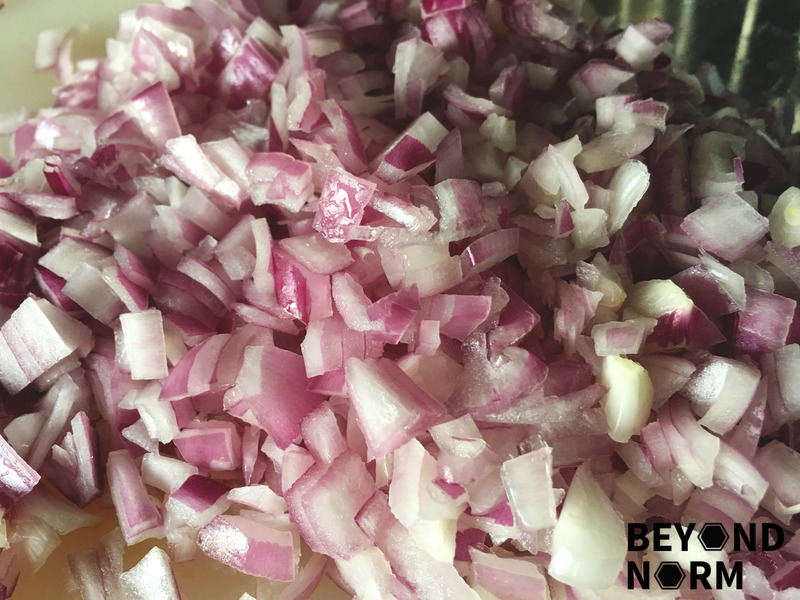 This warm soup is so delicious when you stir in a teaspoon of heavy cream before serving and it definitely goes well with nicely toasted sliced baguette. 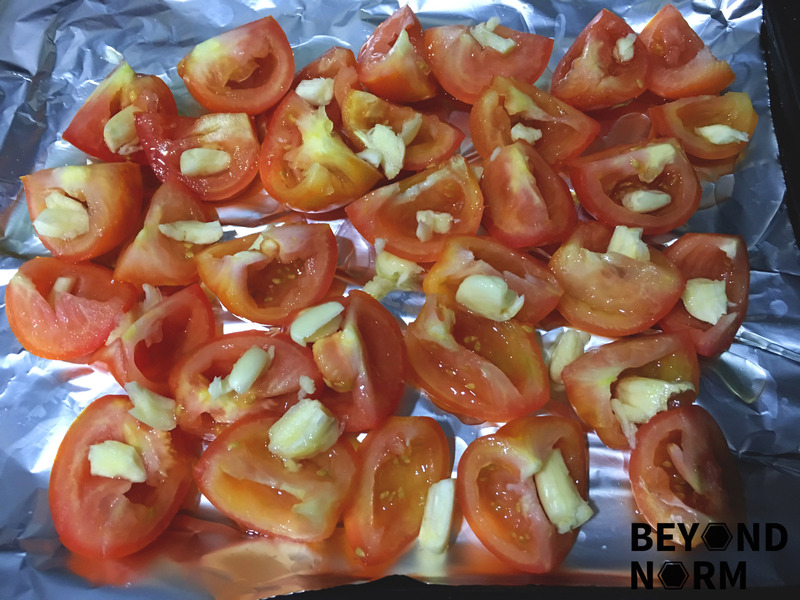 Arrange the quartered and deseeded tomatoes cut side up on a baking tray lined with foil. Place the lightly crushed garlic around the tomatoes. Drizzle olive oil over the tomatoes and garlic. Sprinkle generously with salt and thyme. Place them in the oven to roast for 35-45 minutes or until shrivelled. Once everything is done roasting, set aside until ready to use. 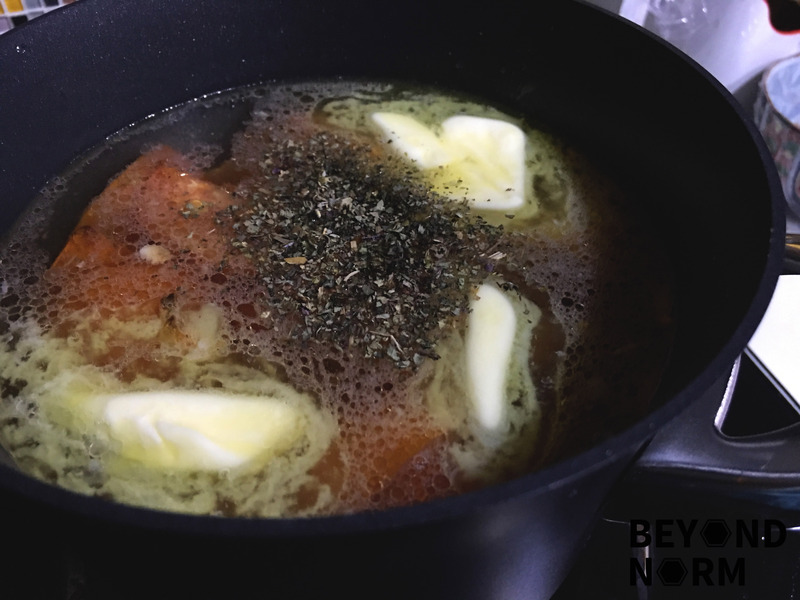 In a medium sized pot, melt the butter over medium heat. Add in the already roasted tomatoes, garlic, and stock and bring to a boil. Once boiling turn down to a simmer for 10 minutes before blending with an immersion blender or in a regular blender, until completely smooth. Once smooth, taste the soup and add honey/sugar if needed. If the tomatoes are particularly acidic add salt. Stir in a teaspoon of heavy cream and sprinkle some basil before serving.